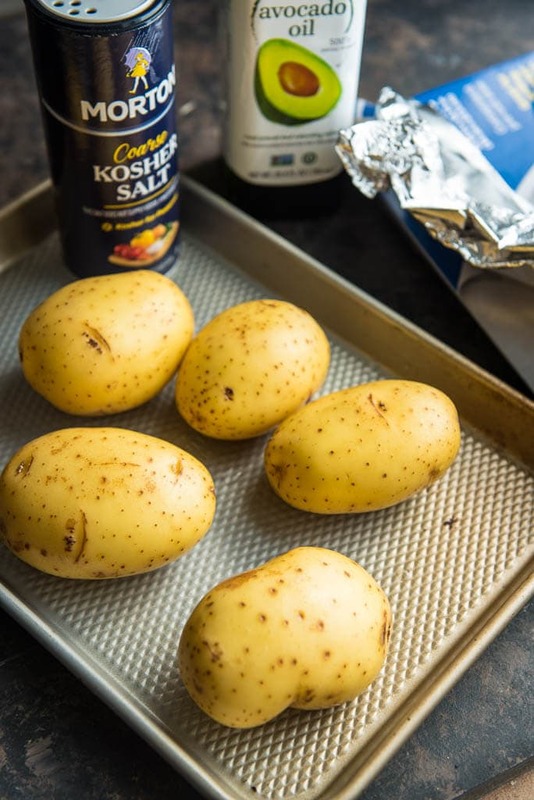 If you’ve ever wondered how to make a baked potato on the grill, I’m going to show you how simple and time-saving it can be! I’m all about making dinner as simple and stress-free as possible. And when the weather is warm enough, I love firing up the grill and keeping the cooking mess outside. So, if I’m going to grill, then I’d rather make the whole meal right there. Making the main dish and the side dishes on the grill takes a little planning, but keeps things simple because there’s no need to run in and out checking on different things or worrying about starting a fire. 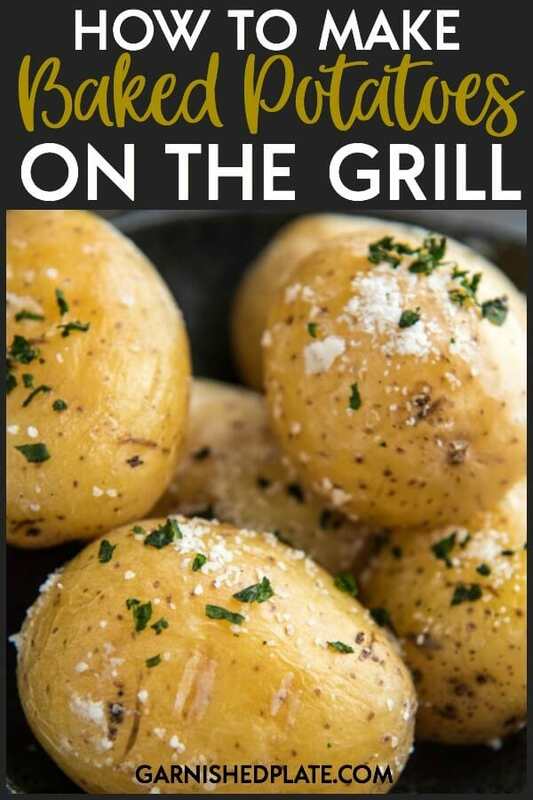 One side that pairs well just about any main course is baked potatoes, so today I’d love to share with you how to make a baked potato on the grill. What kind of potatoes should you use? The short answer would be whichever ones you like best, but let’s walk through the options. They key will be to consider how long your potatoes need to cook and time everything just right. 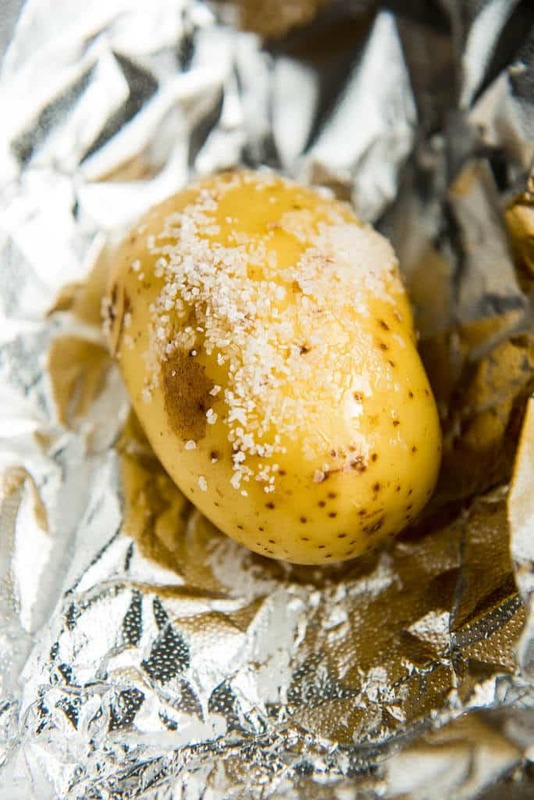 It’s okay if your potatoes get done a little early, they can sit and rest and cool a bit while you finish up everything else. Also, it’s okay to cook the potatoes at the temp of the other food, just remember to adjust cooking times accordingly. Prefer making potatoes indoors? 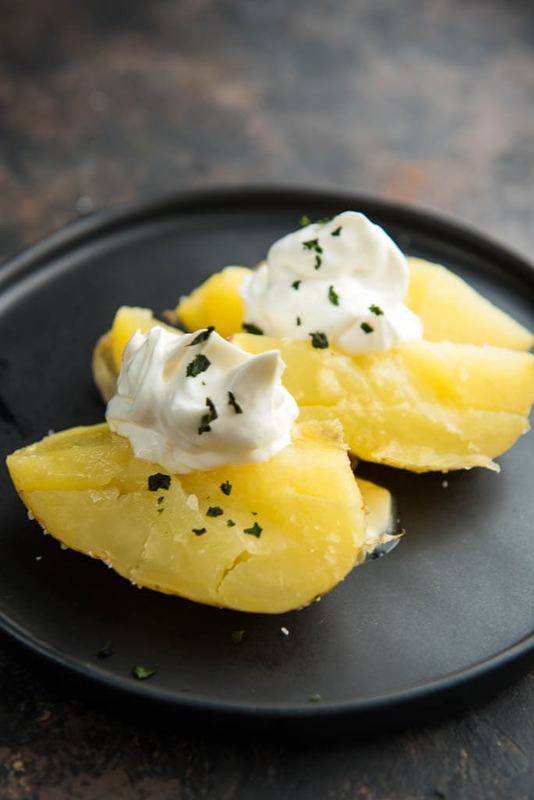 Try these skillet potatoes!! 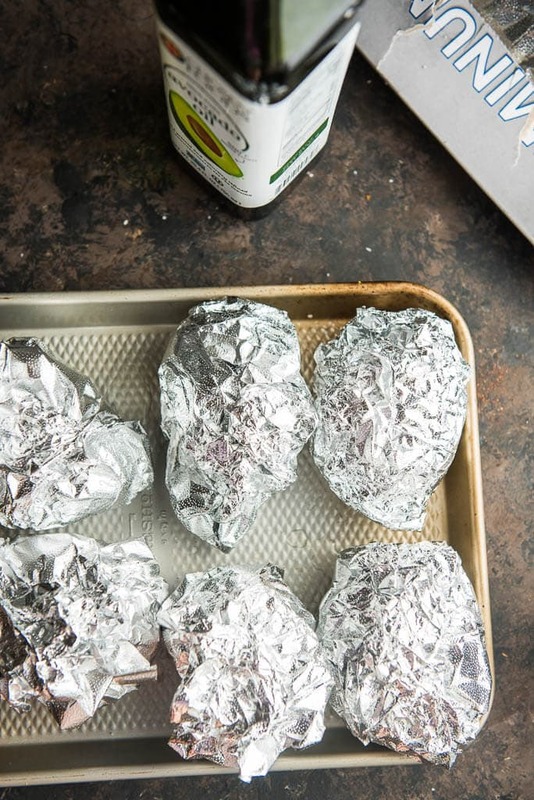 If you've ever wondered how to make a baked potato on the grill, I'm going to show you how simple and time-saving it can be! 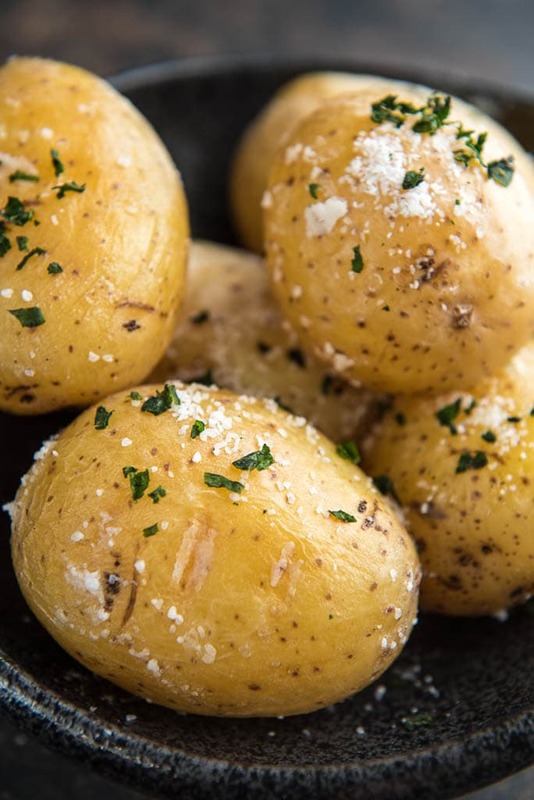 If using larger potatoes or cooking at lower temps (down to 350) potatoes will take longer to cook (up to 1 hour or more). To quicken cooking time, pierce and microwave potatoes for 3-5 minutes then prepare for grill.